Asus Republic of Gamers has announced the ROG Masters 2017 eSports tournament. This year the ROG Masters is to be a worldwide eSports tournament with a prize pool of $500,000. Asus ROG says that the event will feature over 20 pro teams from across the globe, doing battle in the Dota 2 MOBA and Counter-Strike: Global Offensive (CS:GO) FPS games. The half million dollars prize fund is split 50/50 between these games titles. You don't have to be in a professional team to take part in the ROG Masters 2017, but you will have to succeed in the open qualifiers before clashing with the pros in later rounds. This is how it works: Starting this month the 30 country qualifiers and four regional qualifiers will take place (EMEA, Americas, APAC, and China). Those that win through the open qualifiers will take on the invited pro teams from each of the four world regions. The Asus ROG Masters 2017 finals are scheduled to take place in November 2017. "For over a decade ROG has been committed to providing the most innovative hardware to gamers worldwide, and last year we offered the gaming community an opportunity to live their eSports dream by launching the first-ever ROG Masters," said ROG Marketing Director, Derek Yu. "Thanks to extremely positive feedback, ROG Masters returns this year as a global affair, inviting pro teams and amateur players from over over 30 countries across five continents." 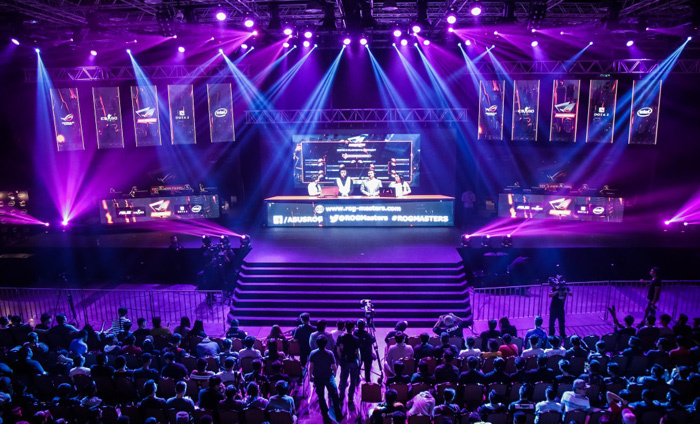 Above you can see a scene from the ROG Masters 2016 finals which were attended by over 7,000 people in the Kuala Lumpur City Centre in Malaysia. Team Secret were crowned as Dota 2 champions, taking home the biggest chunk of the $200,000 total prize pool, while The MongolZ dominated the CS:GO competition. These two teams succeeded in tournaments which began with 590 qualifier teams. This year the pickings are much richer so the competition could be even fiercer. 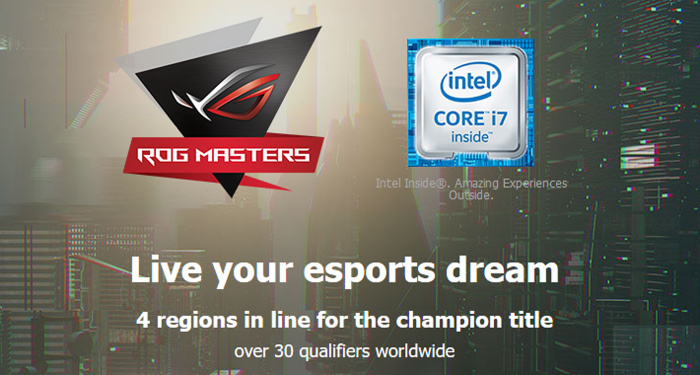 You can keep up to date with ROG Masters 2017 events via the official ROG Masters site and the official Asus ROG Twitch channel.